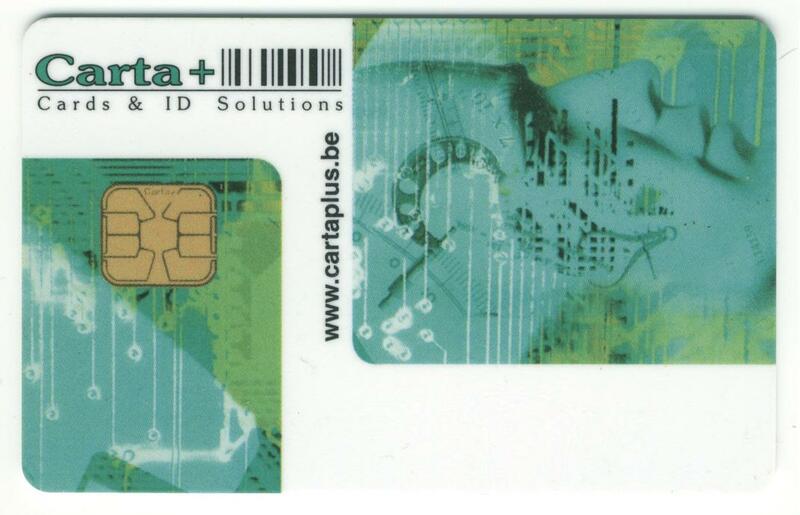 Carta+ can provide you with fully blanc cards with an hico or lowco magstripe and can be delivered out of our stock within 2 days after order. 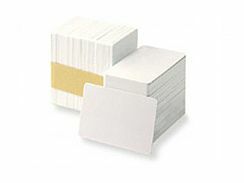 All full color cards can be supplied with LoCo or Hico magtsripes. Don’t forget to specify which type you need when ordering! Data recording is operated by exploiting the capacity of some materials to become permanently magnetized (residual magnetism) when exposed to a magnetic field. Data recording is handled by a small electro-magnet (the head) that converts an electric signal emitted by the electronic coding system into a variable magnetic field NORTH/SOUTH or SOUTH/NORTH, when the card or the stripe is in rotation. The magnetic material is magnetized according to the field, thus retaining the signal. Data reading operates in the same way. Data recording is carried out by binary coding, presence or absence of change of direction in a zone indicating 0 or 1. Magnetic stripe encoding process is provided by frequency and data assembling mode. This process can be managed by a Standard Priority system. For good functioning, physical characteristics specify the magnetic stripe position and form required for the tracks. 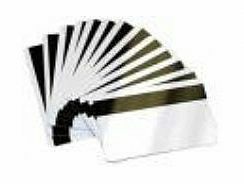 Plus, a reliable and durable card depends on the stripe’s surface resistance to abrasion, and also on the way magnetic stripe is fixed to the card. 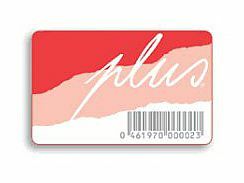 Integrated magnetic stripe cards (FLUSH) are more recommended than « stuck on » stripes. The level of residual magnetism measured according to a set of standard references. This represents the magnetic stripe capacity of transmitting the recorded signal. The resolution defines the magnetic material capacity to stand up to the needed density of transition flow without coding error. The coercivity-in œrsteds or kiloamperes per metre- is the measurement of the card resistance to passes through magnetic stripe readers, which represents reliability and durability of a card.